Home Knowledge base Search & Import Products How to solve Import function issue. If you cannot import products there are several possible reasons. 1) Your affiliate data is incorrect, please, check it and correct if necessary. 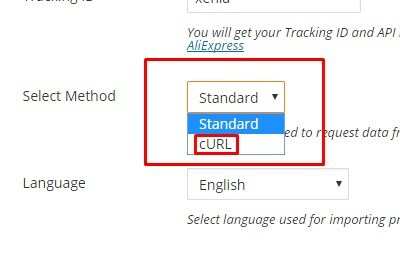 2) Your hosting doesn’t support Standard method and you need to switch to cURL. 3) Your hosting blocks external connections and you need to contact hosting support to solve the issue. 4) mbstring is not activated for your hosting account and you need to contact hosting support to solve the issue.